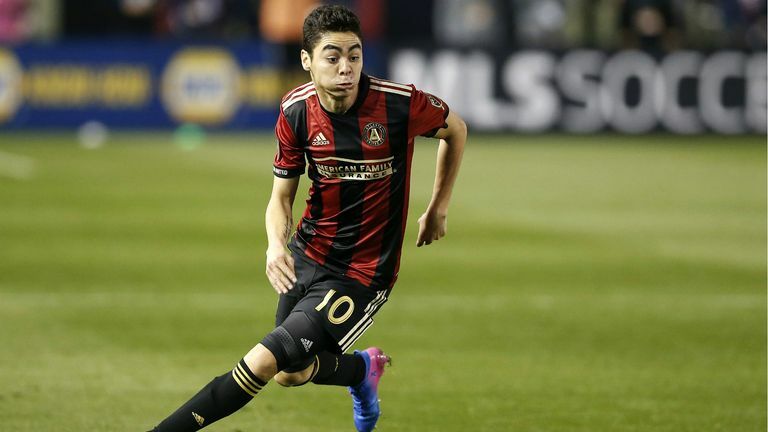 As Miguel Almiron undergoes a medical at Newcastle ahead of a club-record transfer, South American football expert Tim Vickery insists he is a risk worth taking. Almiron is in Newcastle after his current club, Atlanta United, agreed a fee for Rafa Benitez's side to secure his services. The fee is understood to be around the £20m mark, which would surpass Newcastle's current transfer record of £16.5m paid for Michael Owen in 2005. 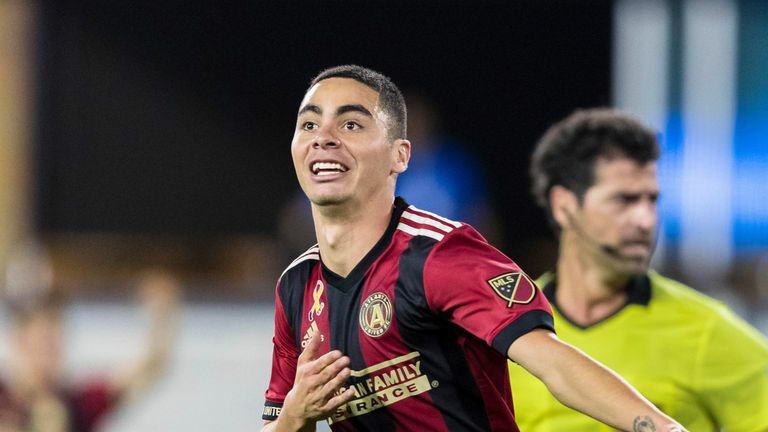 The 24-year-old scored 13 goals as Atlanta went on to win the MLS Cup last season, having previously played in Argentina and his native Paraguay - and Vickery believes that lack of European experience means there are no guarantees he will be a success on Tyneside, but remains adamant Almiron has the ability to produce the goods. "He's going to run with the ball at devastating pace with a lovely left foot, these are his two great virtues: wonderful pace and a left foot to open up defences," Vickery told Sky Sports. "He's an ideal type of player for a team that want to defend deep, cover up and launch a counter attack. "It is a risk, this is a new business model, you think of the MLS as a elephants graveyard but now they're looking for young south American talent and looking to sell it on. This for Atlanta United is a fantastic piece of business, they bought him for under $10m, he's launched a club and already won them silverware and they're making a considerable profit if he goes to Newcastle. "There is a risk, he's coming up to 25, usually European clubs see this as an advanced age to bring a South American player into European football so he'll have to adapt, but I think he could be good fit for Newcastle.